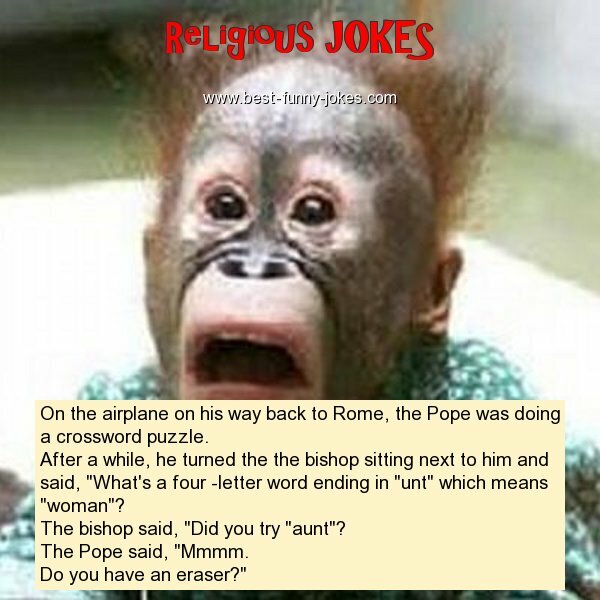 On the airplane on his way back to Rome, the Pope was doing a crossword puzzle. After a while, he turned the the bishop sitting next to him and said, "What's a four -letter word ending in "unt" which means "woman"? The bishop said, "Did you try "aunt"? Do you have an eraser?"